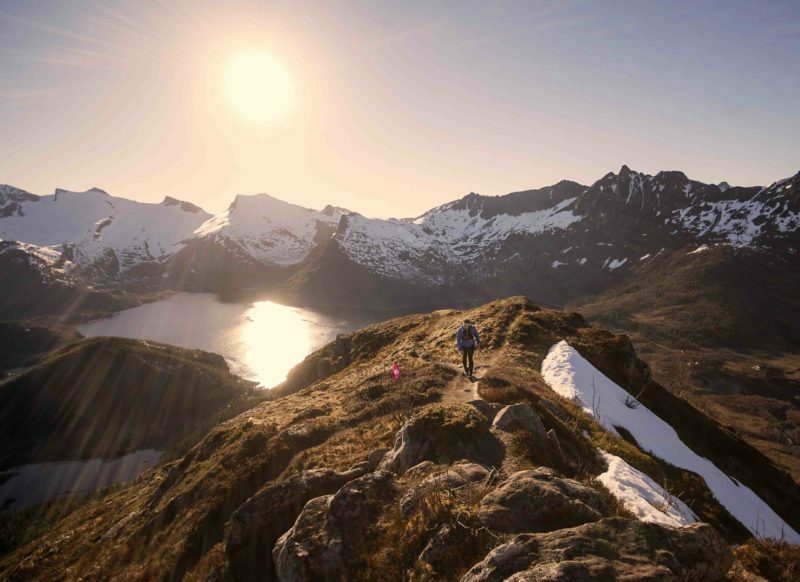 The Arctic Triple – Lofoten Ultra-Trail® is the race that truly takes a grab on the entire group of islands from Moskenesøy to Austvågøy. 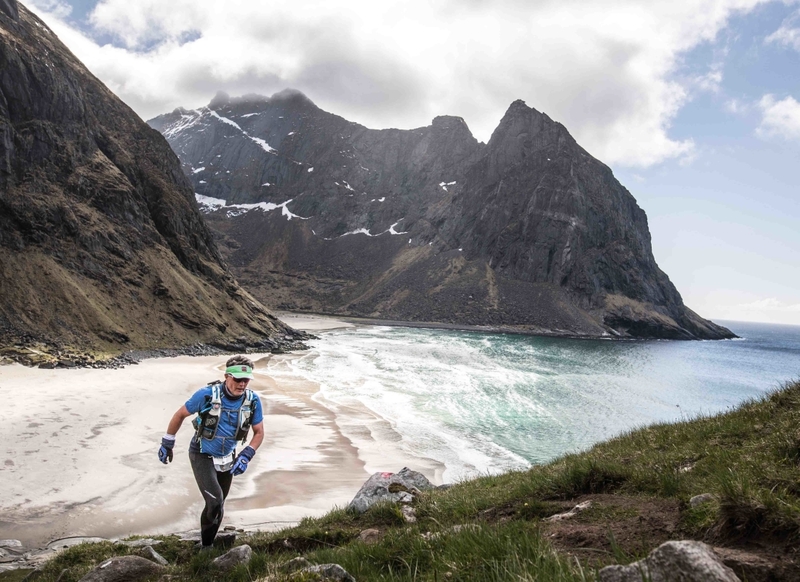 Lofoten Ultra-Trail will take place in week 22 every year. The tracks pass through an amazing scenery of mountain ridges, white beaches, green hills and grey cliffs – almost the entire time with the ocean in view or just meters from your feet. 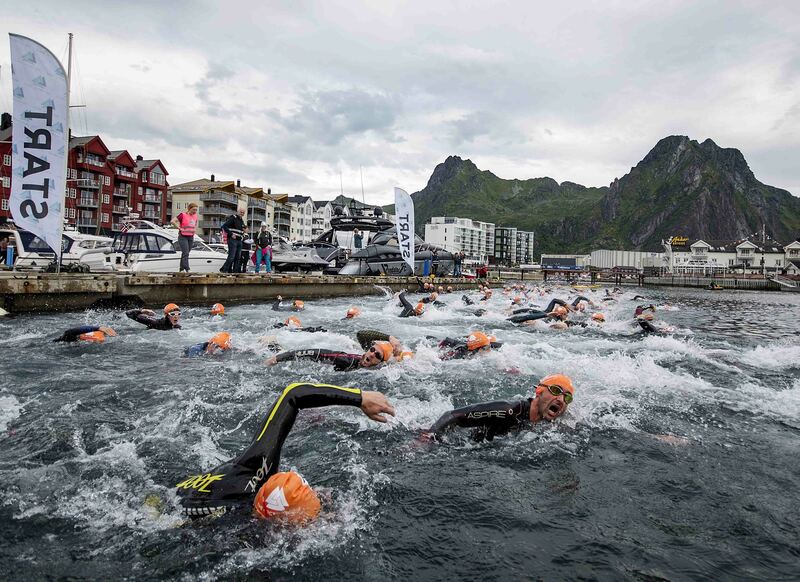 The finish line is in the scenic city of Svolvær, surrounded by steep mountains by the harbor. Pure magic. 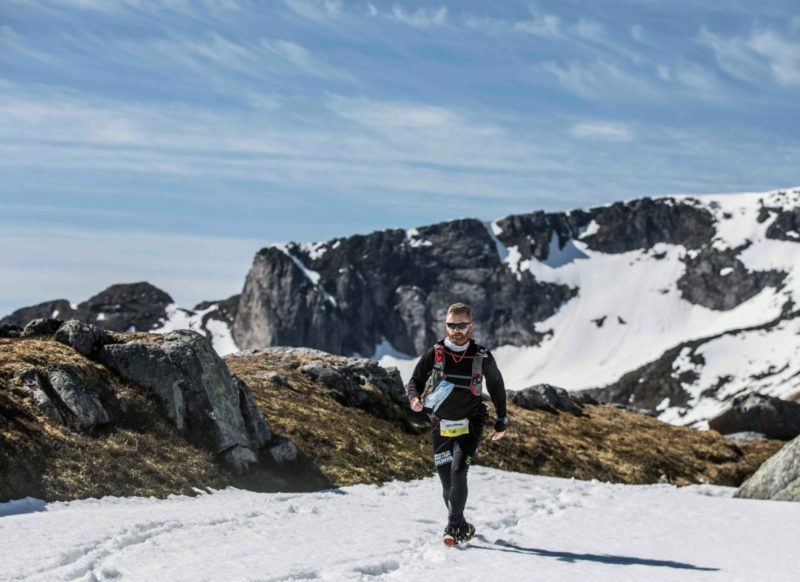 The Arctic Triple Lofoten Ultra-Trail 2019 will take place in week 22 May 31st till June 2rd. When registration opens you may book all three races for Gold, Silver or Bronze triple. 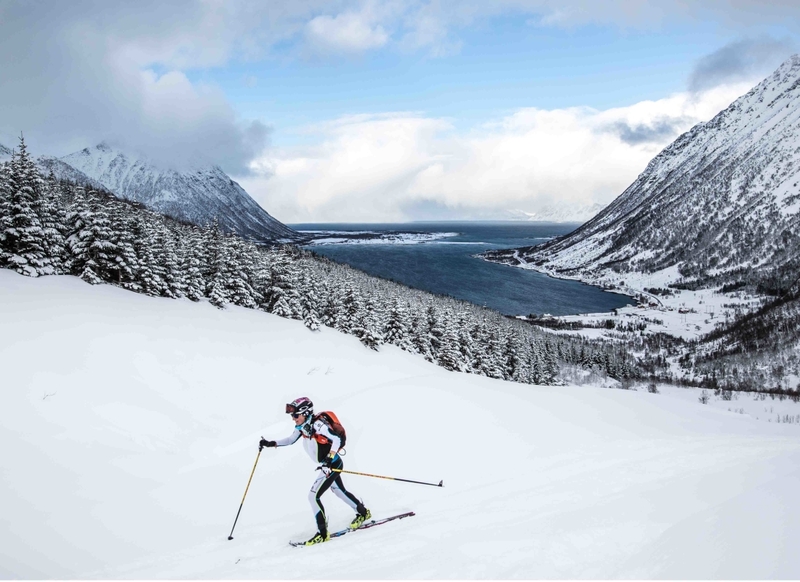 All races in The Arctic Triple are fully supported and marked – external support only allowed in some points, see race manual. 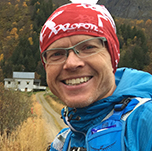 Svein Vestøl, who tested the route in October 2015 and finished the 100 Miles in 2016 and 2017. First athlete to complete the Golden triple in 2017. It was meant to be. 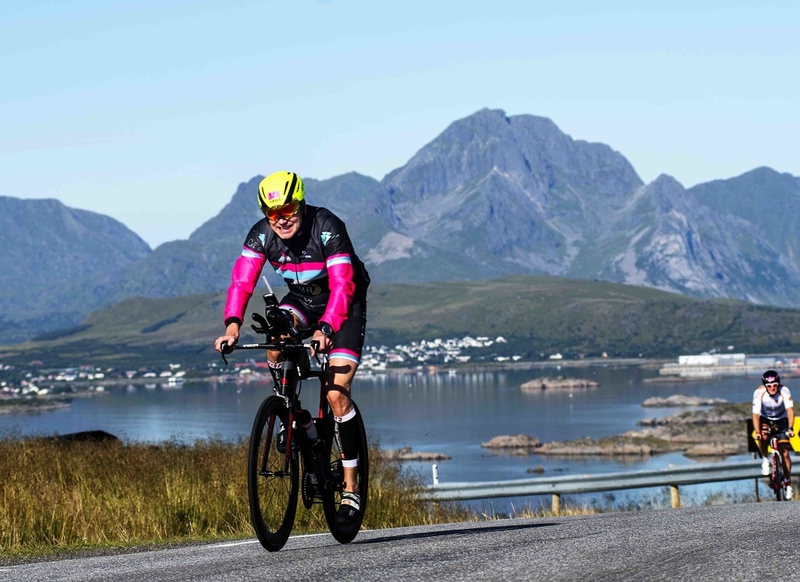 Oddvar Berntsen, 87 years old, is the only man living at Kirkefjorden where the starting line for Lofoten Ultra-Trail® 100 miles is set. It was our lucky day when he was on the local boat that morning in October. We were on our way to test the route and he was going home. Kirkefjorden is a small settlement deep into the Reinefjorden. It’s a 20 min boat ride from the iconic village of Reine. The local shuttle boat usually has one daily trip to Kirkefjorden and sometimes two. No matter what – when you go there you have to stay for at least a whole day, unless you swim back or hike further on. There are no cars. You can walk from one end to the other in 10 minutes. Old houses bursting with history, surrounded by steep mountains dropping strait into the fjord with a single green ridge trigging your mind.. What’s behind? We knew there was a man living at Kirkefjorden and we were thrilled to learn that he was one of the three other passengers that morning. The minute you look into his eyes you know he’s a good guy. One of those hard working people that has lived a life that you can only try to understand standing there with your Gore-Tex, taking photos with your cellphone. He could so easily have been negative. 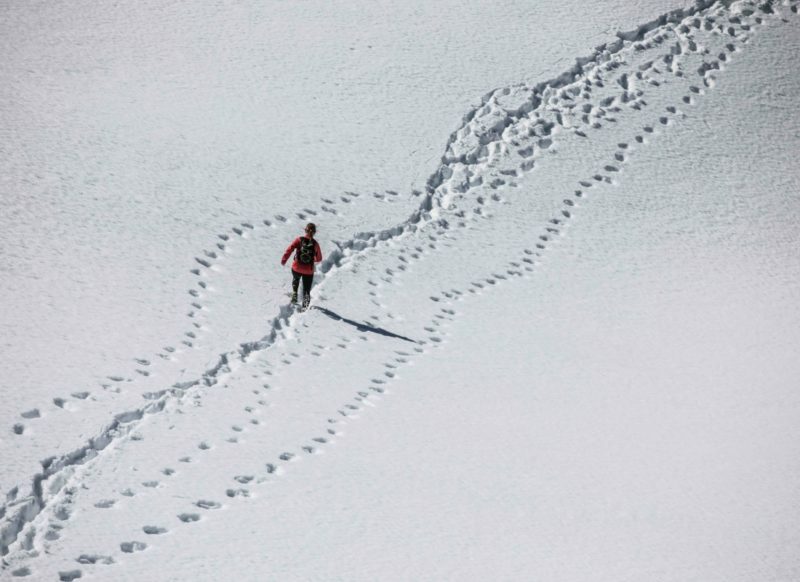 He’s probably never needed to go running in the mountains – he’s had more than enough working to make ends meet. And there we are telling him that not only are we crazy enough to send these guys out running that morning, but we’re making a race. On his land. On this amazingly untouched beauty of peace and quiet. He laughs. With his whole body. A bit skeptical, but far from negative. So we ask.. Would you do us the honor and send them off? No immediate yes. But still smiling. Wants to know the details of his mission if so.. And now we have the best starter ever. Oddvar Berntsen rocks! When you register for a race you’ll be given access a to make reservations at the event hotels. 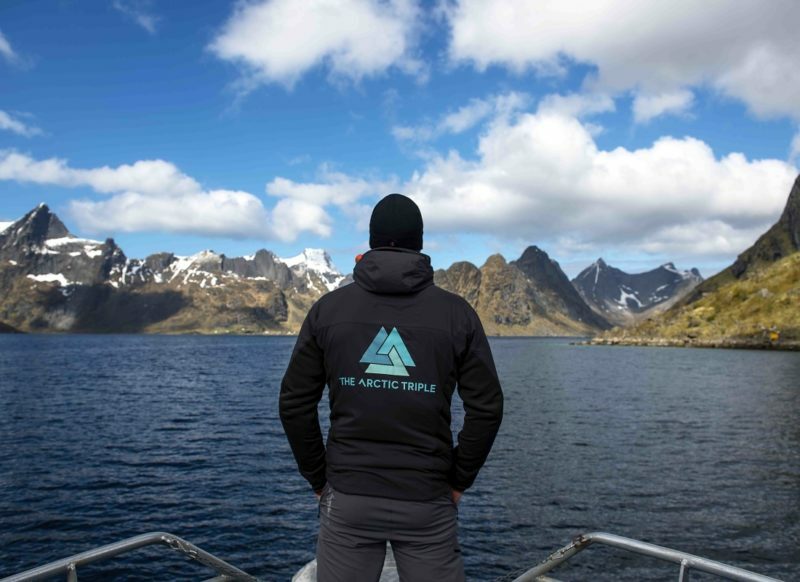 For travel info have a look at our info page or check out Destination Lofoten! Please note! All races include a mandatory equipment list that will be detailed in the race manuals. 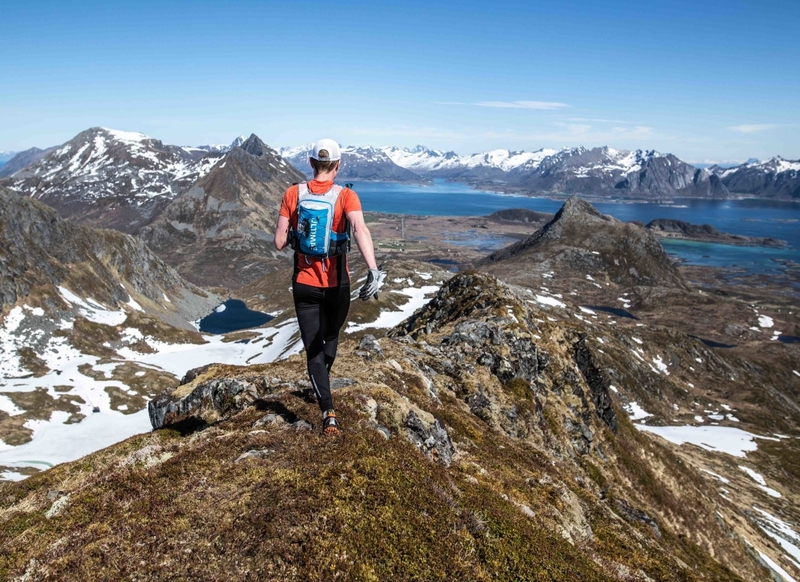 Check out your personal pictures from Lofoten Ultra-Trail by Sportograf here! 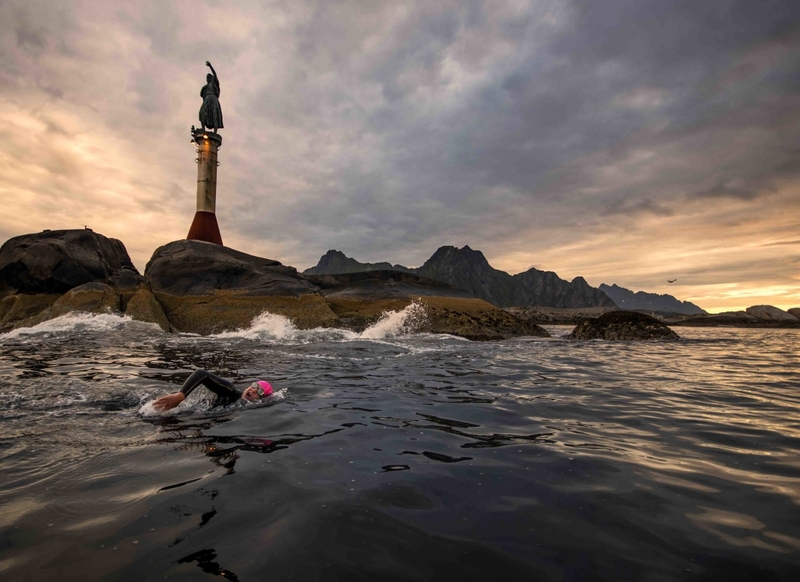 The first ever 100 miles distance race in Norway starts with a short boat ride from Reine, through the magical Reinefjorden to the starting line at Kirkefjord. Please note – mandatory race brief the day before the start (late afternoon). Please read the Race Manual below for further details about the race! Route illustrated in the map below in orange color. Use zoom function in if you want to get a more detailed view of the course. Point your mouse over the map markers for more information. 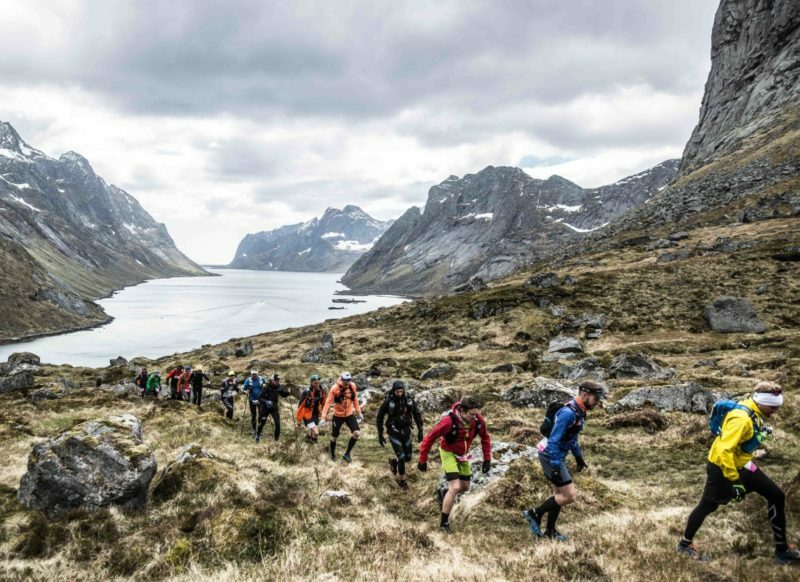 This is the first ever 100 miles RELAY (stafett) race in Norway and is a great teambuilding product, where you work together before and during the race. 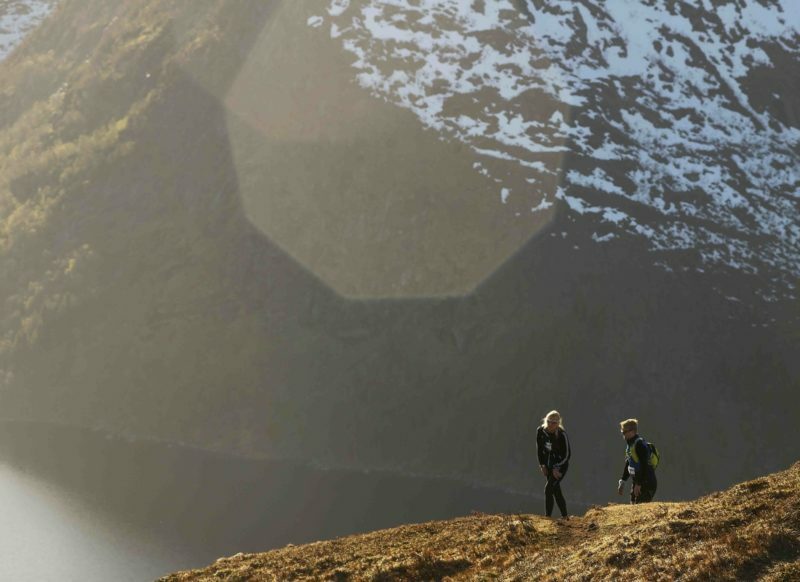 It is a great way to experience Lofoten, which is often described as the world’s most beautiful islands. The race consist of 10 stages, from 9 km to 22 km. Some stages are flat and some have more elevation and technical terrain. 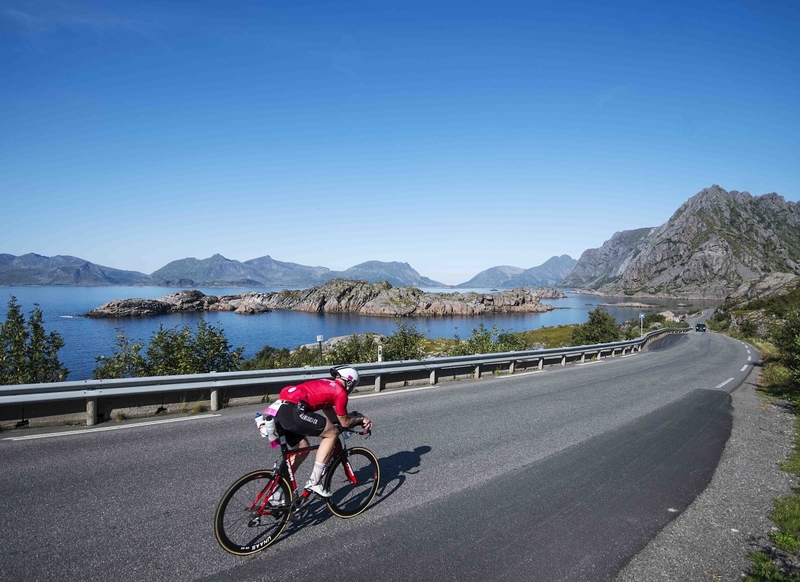 To get to the start of the race you have to take a short boat ride into the spectacular Kirkefjord, close to the famous fishing village Reine, known as one of the most picturesque areas in the world. The relay course is the same as the individual course. 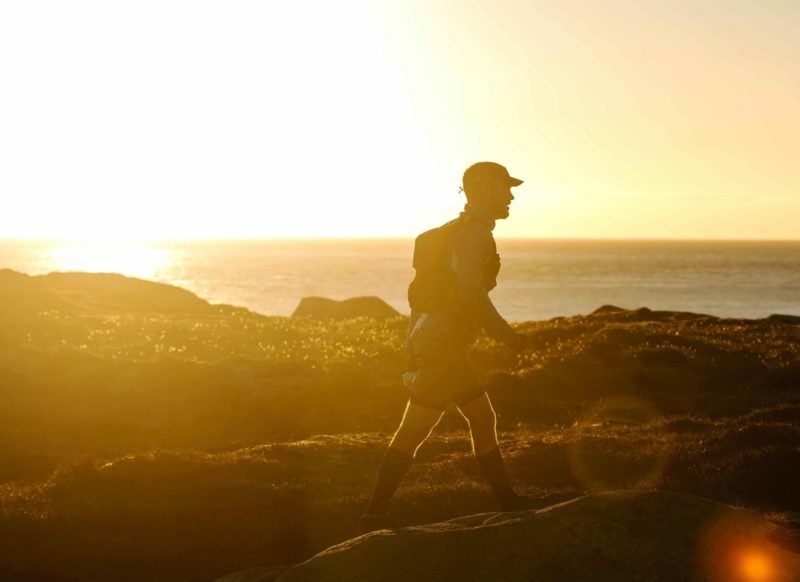 If you participate 10 years and switch legs every year you may finish the whole 100 miles course after 10 years. 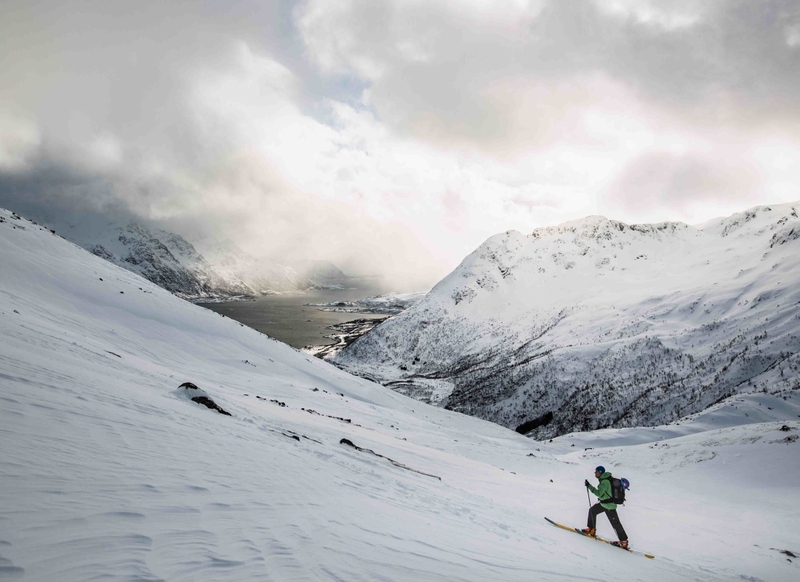 This is a pretty cool way to experience Lofoten, from west to east. Please note – race brief the day before the start (late afternoon). Meet the Vikings of Lofoten! It is with great pride we start the 50 miles distance at Lofotr Viking Museum at Borg. 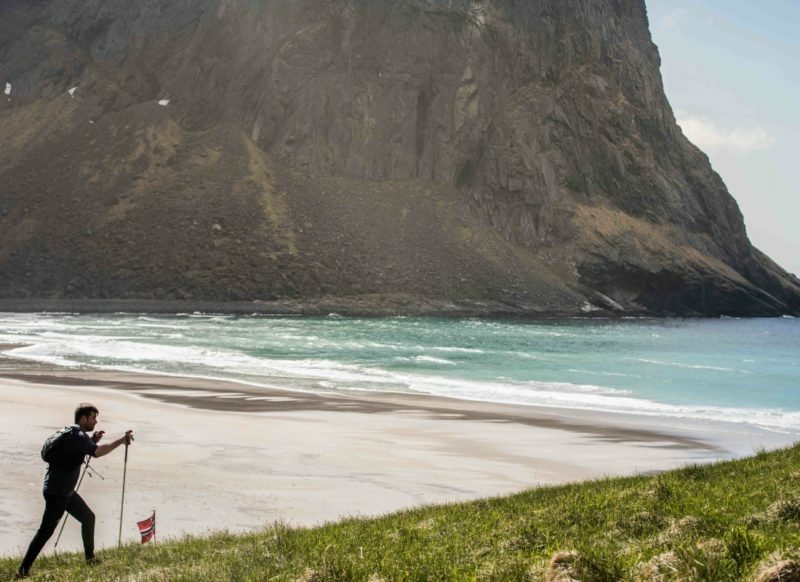 Lofoten is packed with cool viking history and the museum at Borg is an authentic experience. 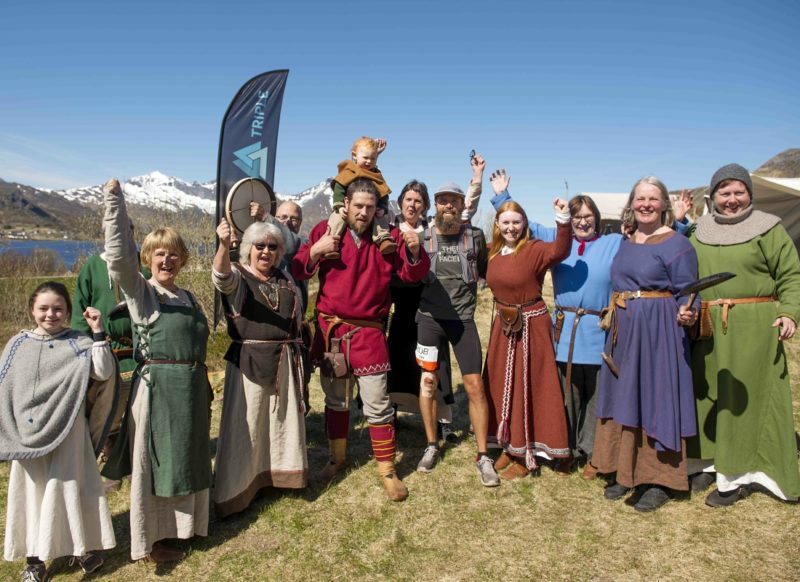 Meet the Vikings of Lofoten! 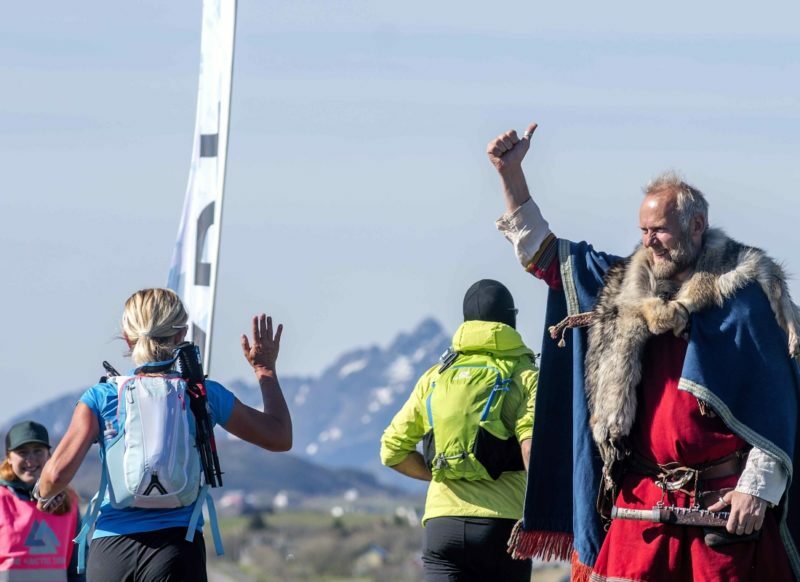 It is with great pride we start the 50 miles distance RELAY at Lofotr Viking Museum at Borg. Lofoten is packed with cool viking history and the museum at Borg is an authentic experience. 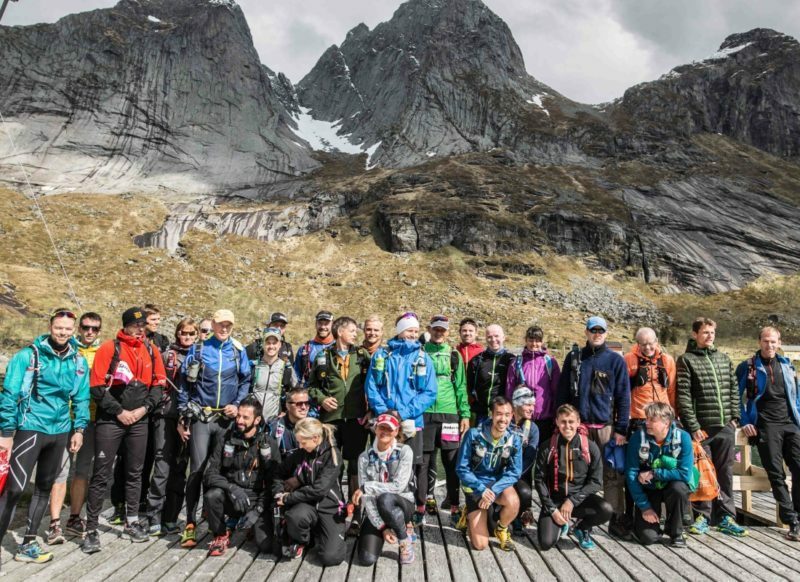 50 miles RELAY (stafett) is a great teambuilding product, where you work together before and during the race. 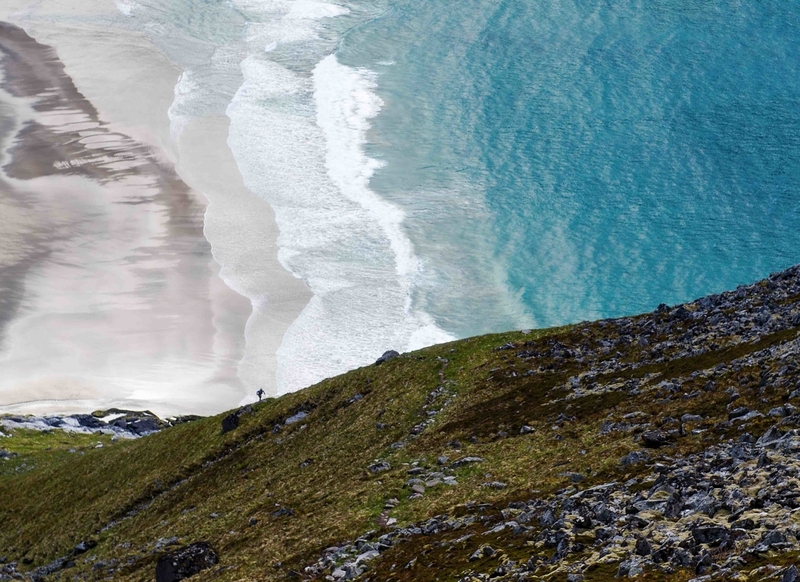 It is a great way to experience Lofoten, which is often described as the world’s most beautiful islands. The race consist of 10 stages, from 5 km to 15 km. Some stages are flat and some have more elevation and technical terrain. The relay course is the same as the individual course. If you participate 10 years and switch legs every year you may finish the whole 50 miles course after 10 years. 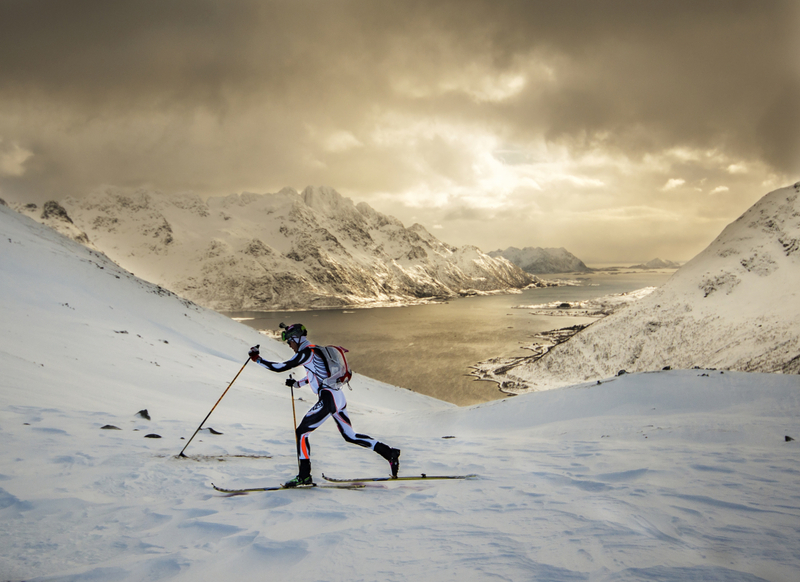 This is a pretty cool way to experience Lofoten. 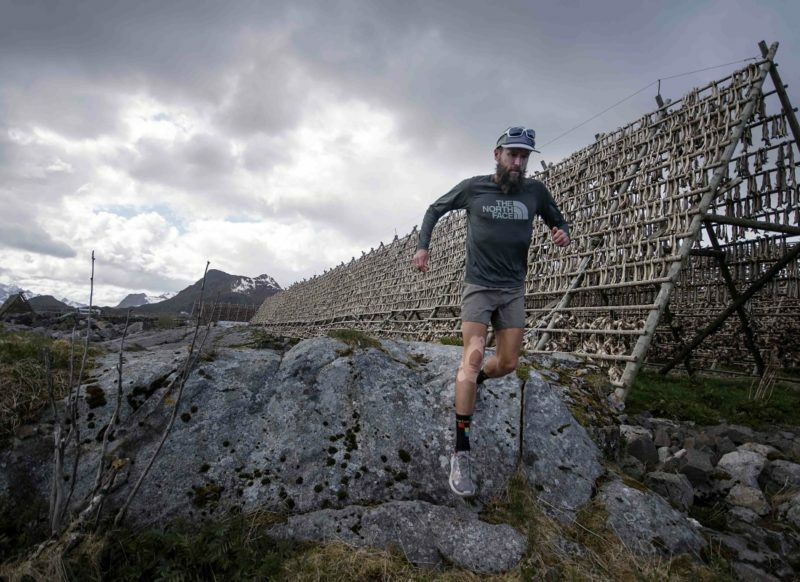 The Lofoten Ultra-Trail Marathon will start at a traditional Vikingcamp at Torvdalshalsen on the island Vestvågøy. 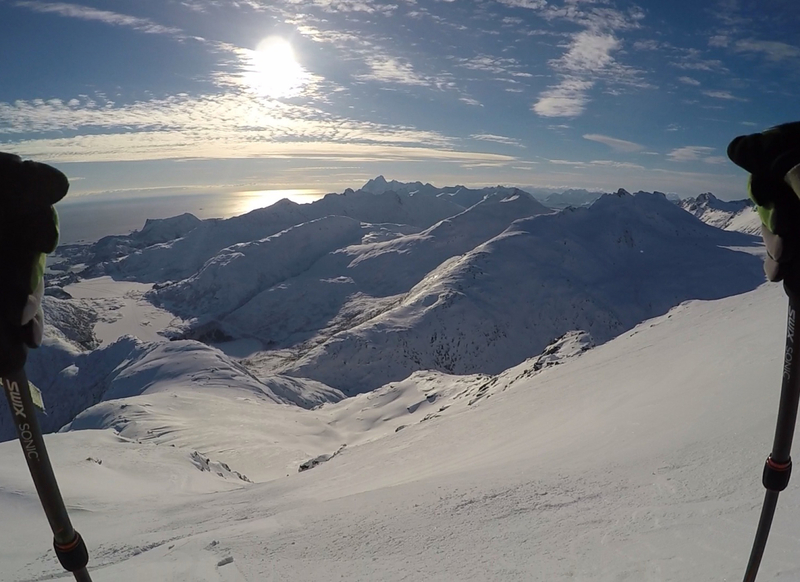 It is a Marathon with a brutal start up the mountain to a great ridge and amazing view. 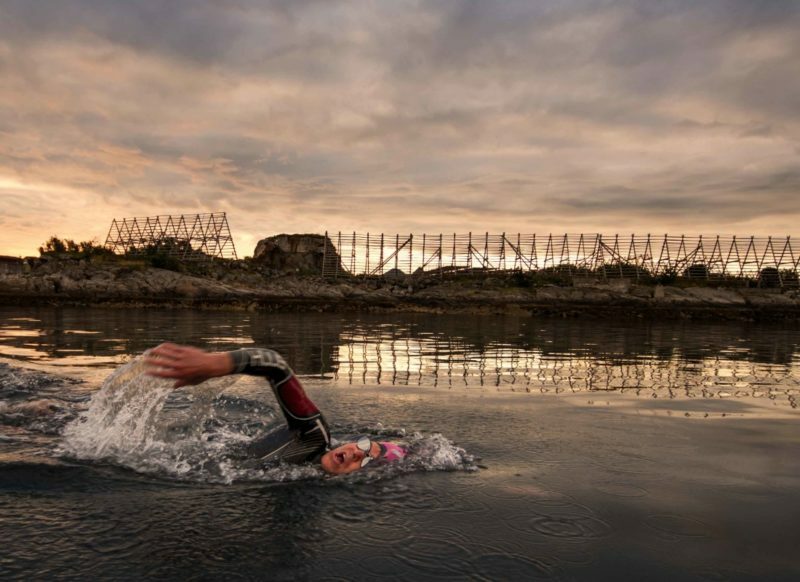 The mini-ultra will start at a traditional fishery at Barstrand on the island Gimsøy. 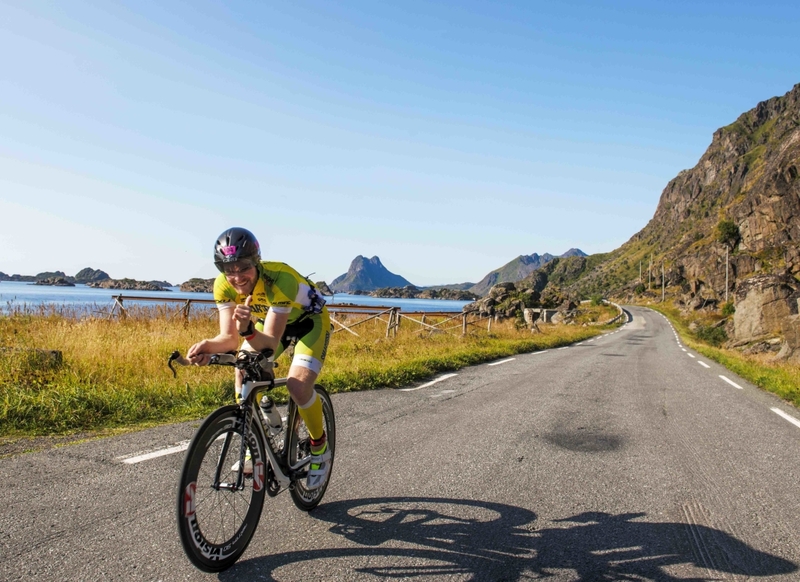 After a few km along the fjord, the route continues over a panoramic bridge surrounded by mountain peaks, before you head into the mountains towards Svolvær. 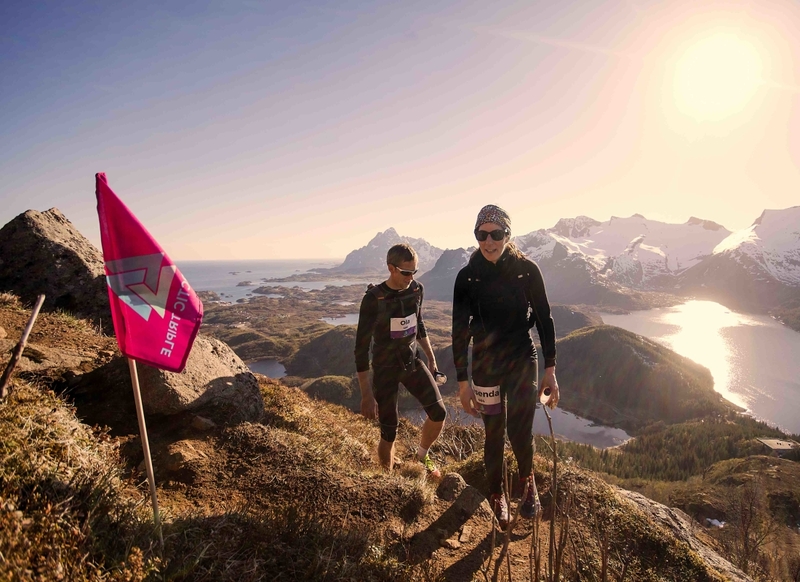 The mini-ultra 12 km will start at Svolvær square. After 2 km on road you will hit gravel, tracks and paths for the next 7 km. The route takes you up to 367 meter above sea level and an amazing 360-degree view.